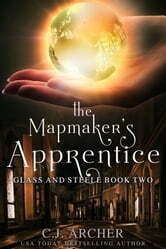 I think it only really hit me today as I finished The Mapmaker's Apprentice how much I love, love, love C.J. Archer's writing! 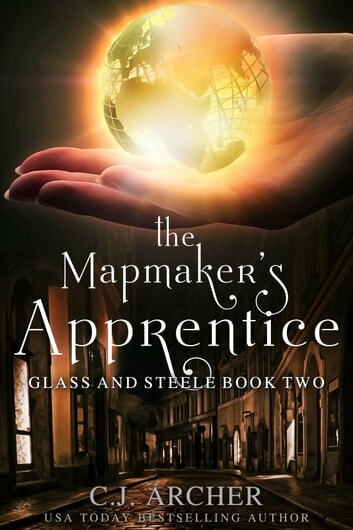 I read the Watchmaker's Daughter and the Mapmaker's Apprentice within three days and I cannot wait until the next book in the series comes out. This is a great book full of action with the perfect amount of humour and romance thrown in. I definitely recommend this book! I really enjoyed this story- the combination of magic, history and mystery were new for me. I don't normally read books in the first person but have made an exception for CJ Archer. Her style is quirky and I must admit she has an avid reader in me now! I liked this second book in the Glass and Steele servies better than the first. The characters were now more fully developed, the plotlines are intertwined nicely and I found the writing was smoother in this book. The touch of magic throughout is not overwhelming, it adds an element of complexity and intrigue to the story. A very enjoyable read, and I finished it looking forward to the next in the series. Once again I couldn't put the book down and wanted it to continue when it came to the end. Very easy read and CJ Archer draws you into the characters. 2nd book of the series was just as fascinating as the 1st. Can't wait to read the next one!! !